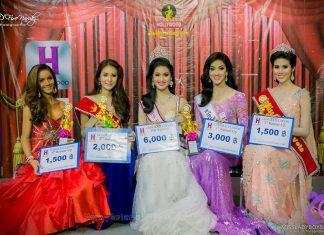 Pageants and Events is sponsored by MissLadyboys - The Legend of Transgender Thailand. Congratulations to the winners of the Miss Hollywood Beauty Queen 2015 contest held May 30th, 2015 at Major Hollywood Ramkhamhaeng. Please visit MissLadyboys.com for more photos and videos.